Whether you’re one of our current mooring customers or planning a boating visit to the Fenlands next year, these upcoming Halloween events will show you just how much there is to see and do around the Fenland Waterways. From the 27th to 30th October you can discover the dark side of Ely on an evening ghost tour of spooky passageways and eerie streets to hear the tales of scandal and death. It’s guaranteed to be so scary that it’s only suitable for children aged 8 and older; and is claimed to be one of England’s spookiest cities. If you travel by Fox narrowboat the cruise from March to Ely takes in ancient inns and the murdered ghosts of Southery, plus legends of violence and death surround the Fenland isle of Littleport: Read more in The Spooky Truth About Cruising to Ely. Oliver Cromwell’s former home is now a museum and tourist information centre; great to visit at any time of year. But from 26th to 29th October 2015 they offer The Cromwell Terror Tour – including a glass of Cromwell’s hot cider punch or apple juice to steady your nerves! There is also an additional one-off Extra Terrifying Tour! on Friday 30th October 9.30 pm for adults only – if you dare! Fossils Galore Educational Activity Centre in March is holding a Halloween Fun Day on Saturday 25th October. They are offering reptile handling, haunted museum, creepy colouring, hook a scary duck and more! When it isn’t Halloween you can still enjoy fossil hunting in a prehistoric sand pit, an arts and crafts shop, tea shop, geode breaking and lots more. From Friday 23rd October to Saturday 7th November Cambridge’s Pumpkin Festival is a celebration of food, which introduces new skills, carves up Halloween conventions and creatively encourages us to think about the food we throw away. Events include local businesses offering pumpkin themed street food, storytelling, a pumpkin carving competition, a FoodCycle lunch, a pumpkin picnic and a multi-faith pumpkin lantern procession at St Pauls. Many more events are listed on the website. However, you can visit Cambridge at any time as part of your Fox boating holiday. 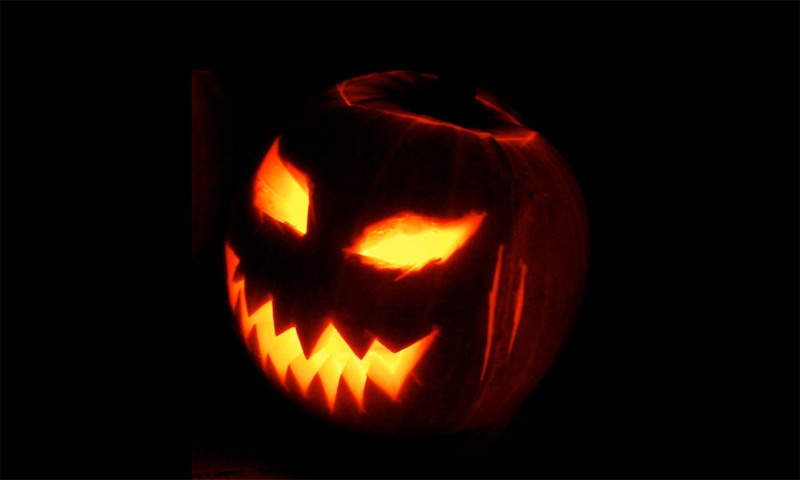 If you’re a local boater, Northampton boat club have a Halloween party on Saturday 31st. They are a small family orientated boating enthusiasts club situated on an island in the river Nene, not far from Northampton town centre. They welcome visitors to the club but are limited to the amount of visitor moorings they have, so please contact the club first, to enquire about available space. Earls Barton White’s Nurseries in Earls Barton host Dr Fright’s Halloween Night in the run up to Halloween. This is a walk-through Halloween experience including special effects, lighting effects, sound effects and live actors to make you jump, scream and laugh. Have we scared you off? Cambridgeshire is alive with history and culture at all times of the year; if you like the idea of exploring the Fenland waterways by boat check availability for next year now.